A full JH2 set was in the box. These two are still on the card, but probably not for long because . . .
. . . the other three models were outstanding! The price increase is well worth it, these things are as detailed as a Greenlight/M2 and probably better quality. 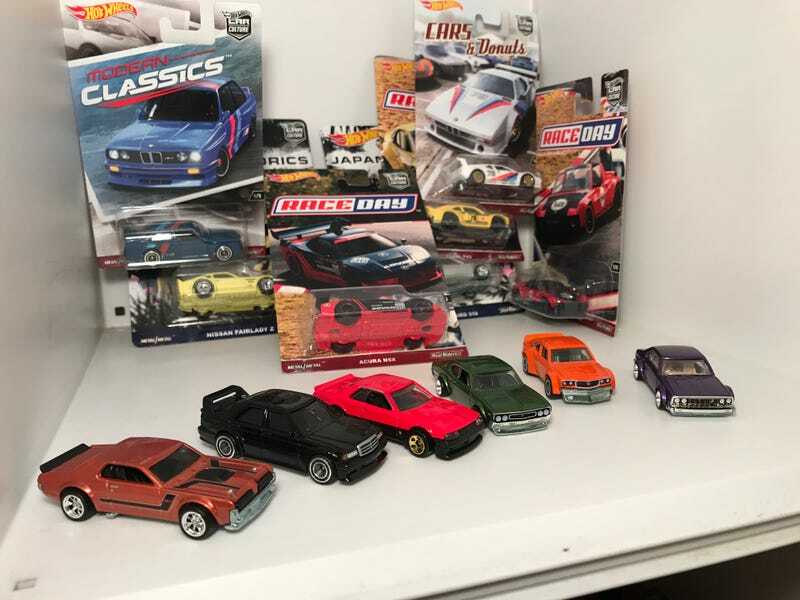 A few other Car Culture models were included in the package. I liberated the Merc and Merc, and they didn’t disappoint! I love the Autocross/old Trans Am car style the Cougar has. Some mainline Hot Wheels were also in the box. The Skyline is a great model, I love the glass-integrated headlights. The M4 and 356 make an excellent Teutonic juxtaposition. Finally, a trio of Matchbox Originals Moko recasts. I have a couple of these already, and these complete the set; expect a feature showcasing all of them soon. Massive thanks to R32Rennsport for getting this awesome box out! He was actually my Secret Super last year, and he’s been fantastic both times.